Every week there seems to be a new bar or restaurant opening in London. While of course, it is all rather exciting seeing what the new kid on the block thinks they've got to offer, it can after a while all seem a bit deja-vu. Yet once in a while, a real gem opens up, something that captures the imagination and frankly appears a little bit magical. Last Wednesday The Fable in Holborn threw a fairy tale launch party, so clutching my invitation, I slipped on a pair of Cinderella worthy pair red heels and went on in. Inspired by the world of fairy tales, The Fable is no ordinary restaurant and bar. Running bespoke events, master classes and unique customised experiences, expect anything from cocktail making to floristry! Inside, the walls are lined with book pages, the benches covered in ivy and petals- no detail has been missed. This attention to detail translates right through to the cocktails and food. We were served carrot, ginger and tequila cocktails, which yes sound something out of a nightmare, and yet bizarrely this potion works so well. Like caught in a spell, I drifted towards the bar where like all good stories start. Here it was where I met these two lovelies to keep me company. Meet Hannah and FrouLoves. We bonded over out love for all things Zara and cocktails. Especially these little potions which were dangerously sweet. Having made some new friends, we went in search of some of the food. Like something out of the very pages of a novel, we munched on mini fish and chips, baked potato gardens, and get this- the soil was chocolate cake! Genius! We explored the 3 story castle until like sleeping beauty, we were ready for bed. If your looking to escape your life and live the fairytale the The Fable can make it happen- at least for the night. The Fable is now full open for breakfast, lunch and dinner, right to after-work cocktails. Dreamy, whimsical and that little bit OTT, you'll forget your troubles in no time- it's where you'll find me from now on. I'm a total book worm and I love the look of this bar. 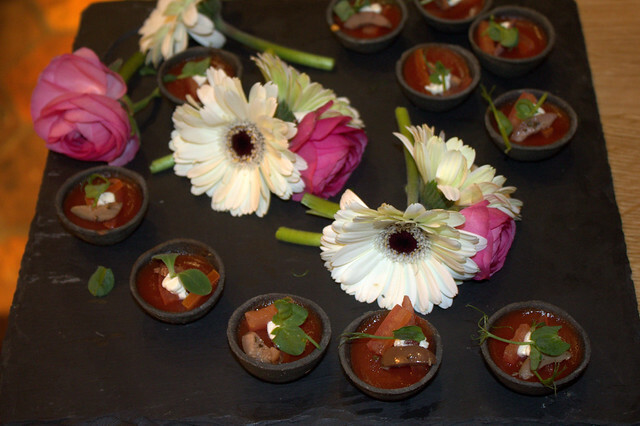 Looks like you had a really fab night and got some great canapes! I'm adding this to my list of places to go! This looks great. Just been oggling their menu, love the idea of all their sharing boards. And lobster croquettes, which I now want to eat immediately!! This sounds right up my street - anywhere with cocktails and I'm there! Nice pictures.....looks like you had a great night. Sounds like you had an awesome time! It's always a bonus when you make new friends at these events! The cocktails look fab, but I can't help feeling a little bit sad seeing those shoes turned into a garden! Sounds like such a fun place! I love it when it's a whole experience, makes the night out that much more special. This place looks absolutely gorgeous!